MONDAY, May 14, 2018 (HealthDay News) -- Parents are more likely to let their kids see violent PG-13 movies if they feel the mayhem is "justified," a new study suggests. The study, of 610 U.S. parents, found that moms and dads were less disturbed by gun violence in PG-13 movies when they deemed it justified. That included the typical action-movie scenario where a hero defends others from the bad guys. In general, parents were more lenient about letting their own kids see that kind of violence, versus "unjustified," random violence. In addition, most said that movies with justified gun violence were suitable for a 15-year-old. Films with unjustified violence, meanwhile, were typically deemed suitable for a 16-year-old. What does it all mean? It's not clear, the researchers said. But one worry is that kids who see a lot of supposedly justified gun violence might learn that gun use is acceptable when you feel threatened, according to lead researcher Daniel Romer. "We're concerned there is a risk that kids might be influenced by this, especially if there's a gun in the house," said Romer, who is research director of the University of Pennsylvania's Annenberg Public Policy Center, in Philadelphia. Right now, there is no evidence that is the case, he stressed. "We can't say that these movies are harmful to kids," Romer said. But, he added, that's a question for future studies to look into. Romer and his colleagues published their findings online May 14 in Pediatrics. Christopher Ferguson is a professor of psychology at Stetson University, in Florida, who has studied the correlation between media violence and kids' aggression -- and found it lacking. "The research in this field is inconsistent," said Ferguson, who was not involved in the new study. He said it's no surprise that parents would have different attitudes toward senseless violence and violence coming from a hero defending the innocent masses, for example. The question is whether that matters to kids. "There's no evidence, from this study, that these movies are bad for kids," Ferguson said. For the study, Romer's team recruited 610 parents who had at least one child between the ages of 6 and 17. The parents watched short clips from several movies online; most were PG-13 and all featured relatively "sanitized" gun violence -- free of the blood and graphic content that would typically earn a film an R rating. 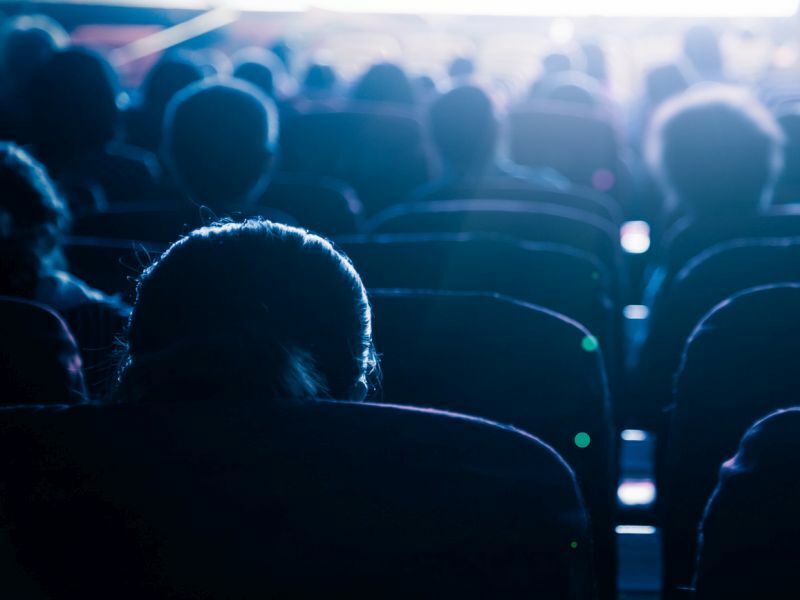 Parents were asked whether they thought the violence in each was justified; what their emotional reaction was; whether they would let their own child watch it; and what they thought was a generally appropriate viewing age for the movie. Overall, parents were more lenient when it came to violence they deemed justified. But most still thought that even justifiable violence was too much for 13- and 14-year-olds. According to Romer, that suggests parents might be interested in a PG-15 category -- similar to the age restrictions used in some other countries. Ferguson disagreed that the findings imply that. "They didn't actually ask parents if they wanted a PG-15 rating," he pointed out. As it stands, PG-13 ratings do note whether a movie contains violence. Romer suggested that when parents see that warning, they "stop and think," and consider whether they want their kids to see it -- even if it's the bloodless sort that gets into PG-13 movies. Since the 1980s, when the PG-13 rating was introduced, gun violence has become increasingly common in those movies, Romer said. In fact, he added, the most popular PG-13 movies now contain more gun violence than the top-grossing R-rated movies. Romer questioned whether that sanitized gun violence -- by not showing the gory consequences -- could actually be worse for kids in certain ways. Ferguson pointed to some "real-world data" that he called reassuring: Government figures show that since the early 1990s, youth violence in the United States has fallen substantially -- during the same time that movie violence became more pervasive. Ferguson suggested that parents "do their research" before letting their kids see a movie with violent content. But he also said it can be pretty straightforward: If your teenager wants to see the latest PG-13 action flick, the odds are high it will contain violence of the fairly bloodless, justified type.